Geoffrey Crane, who marketed Diamond Standard aftermarket parts for more than a decade as director of industry relations, has died. He was 70. 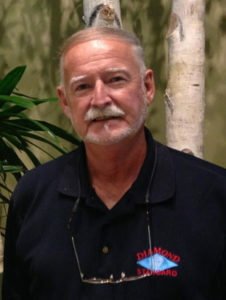 Prior to joining Diamond Standard in 2006, Crane spent nearly 12 years starting in 1988 at the automotive division of fuel, cleaner and remover producer W.M. Barr, manufacturer of brands like Bulldog. There, he led five employees and 125 paint, body and equipment and retail representatives and posted an average of 25 percent annual sales increases, according to his profile. Crane died Sept. 5, in Olive Branch, Miss., according to an obituary. He is survived by daughters Olivia Crane and Carolyn Wanat; sons Billy Crane, Daniel Crane, David Crane; sisters Deborah Benedetti and Nancy Kindregan; and brothers Jonathan Crane and James Messersmith; and three grandchildren. Crane was preceded in death by his parents, New Jersey state Sen. Robert Crane and Frances Adams. Crane had a “passion for cars,” according to an obituary. Other interests included barbecue competitions and fishing. Details on services were unavailable, as were suggestions on a donation on lieu of flowers. Condolence flowers or gifts and messages and remembrances may be conveyed to the family through Coleman Funeral Home.